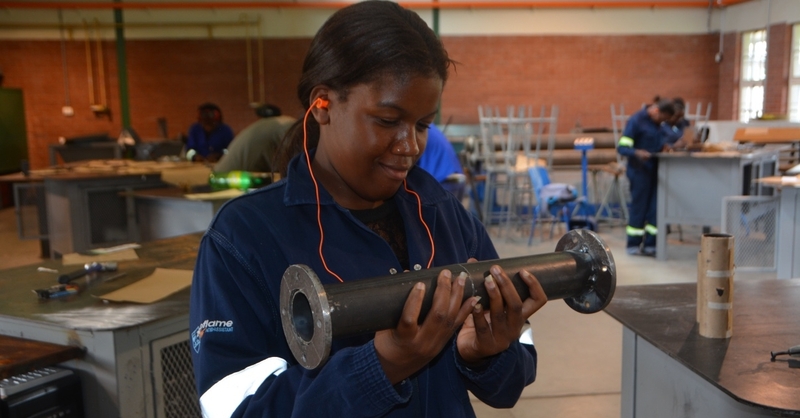 Majuba TVET College is proud to announce that is has been recognised by the Department of Higher Education and Training (DHET) as a Centre of Specialisation (CoS) for Boilermaking in the KwaZulu-Natal Province. What is a Centre of Specialisation (CoS)? 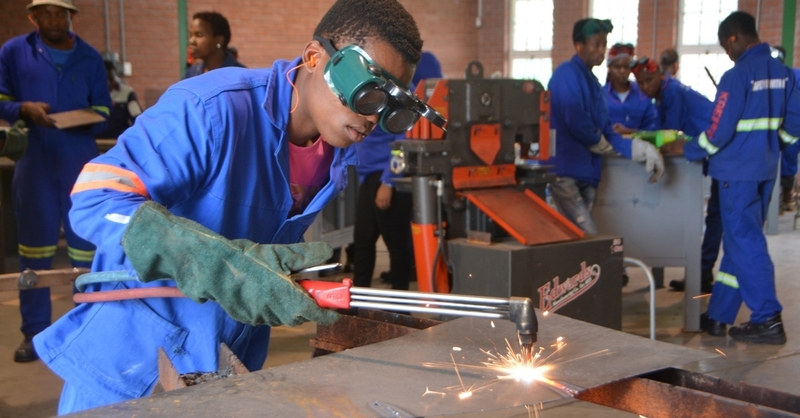 Improved capacity of public TVET colleges to train in skills in demand by industry. … with employers in the driver’s seat. 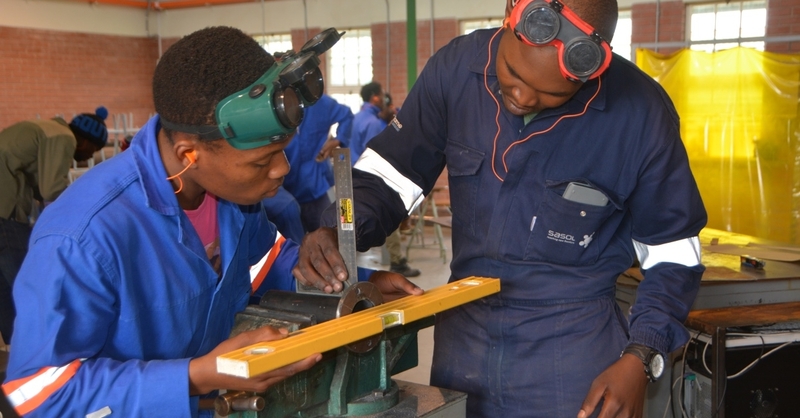 Since the main purpose of the TVET colleges is to prepare students for the workplace and/or self-employment, it is essential that they develop and maintain close working relationships with employers in their areas of study. Close partnerships between colleges and employers will assist the colleges to locate opportunities for work-integrated learning and help them to place students when they complete their qualifications. The development of the thirteen priority trades will be through the implementation of the new Quality Council for Trades and Occupation’s (QCTO) trade qualifications. 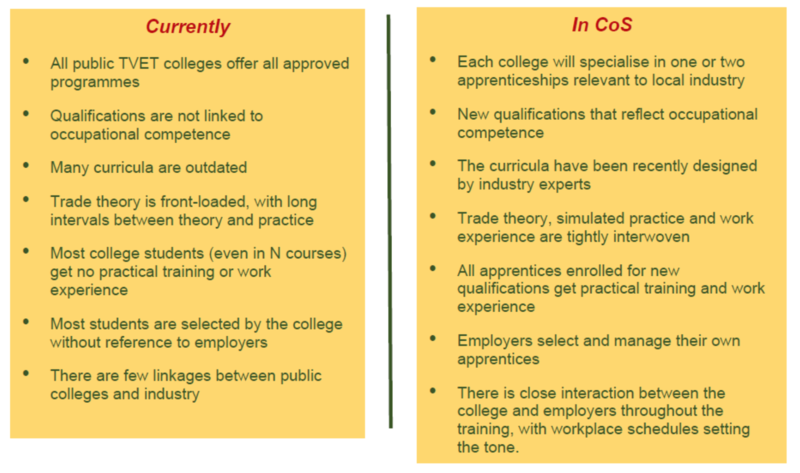 It is envisaged that this will be a quantum step up from the past in so far as they are national qualifications – no longer sector-specific as in the past – and will be delivered using the dual system approach whereby learners will move between a college and a workplace over the duration of their period of study and prior to taking their trade test. What’s new about the “CoS approach? Mr. S. J. Mlotshwa, lauded the staff of the College for their role in this prestigious achievement. “Our success is based on the invaluable efforts of all our staff. Each staff member plays a critical role in the development of our students, and their efforts are evident in the success rate we achieve in not only the academic field, but also in the development of work-ready, employable graduates who are sought after by industry. 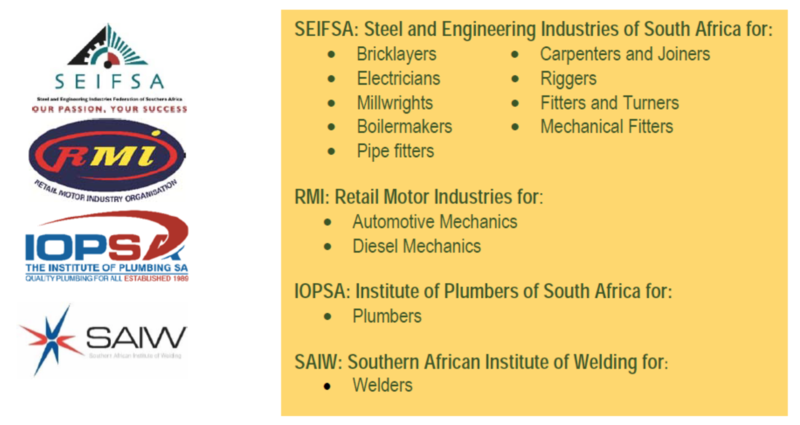 We have invested tremendous time and effort into building strong relationships with industry partners, not only to ensure that our curriculum delivery meets the needs of industry, but to capacitate our students and enable a higher rate of employment amongst our graduates. We wish to also extend our appreciation to our College Council, the leadership of the DHET, our industry partners and all other stakeholders who encourage us to continue inspiring minds”, he said. 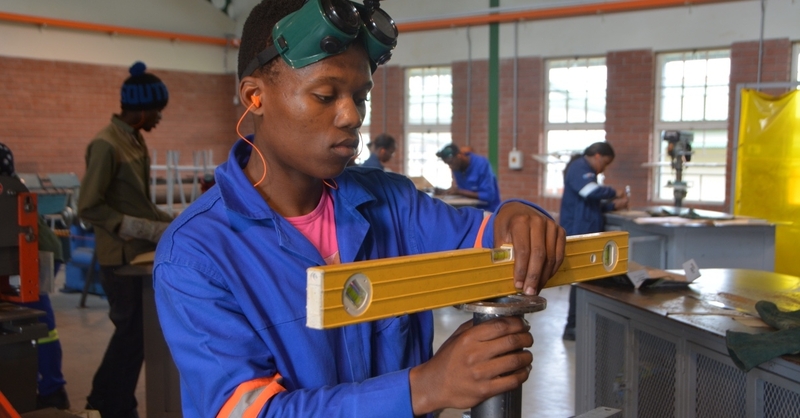 Majuba TVET College has committed themselves to the Centre of Specialisation project with the future goal in mind of becoming the leading Centre of Excellence in Boilermaking. 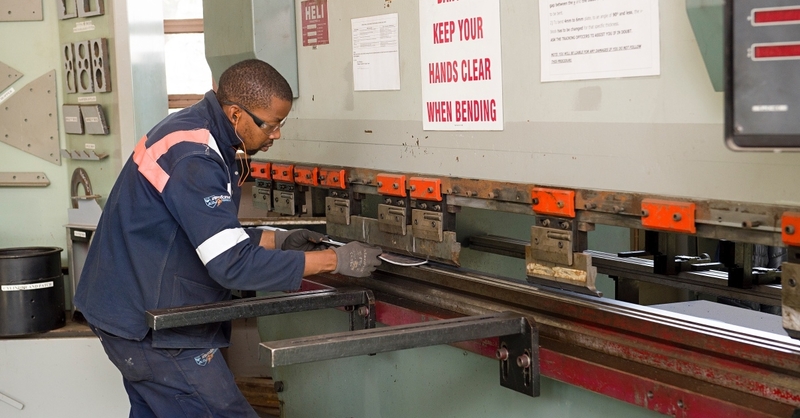 Boilermakers are specialized artisans who mark off and fabricate structural steel and other metal stock to make or repair metal products and structures including boilers and pressure vessels. What duties and tasks does a Boilermaker perform? Develops layout and plans sequence of operations for fabricating and assembling structural metal products, applying trigonometry and knowledge of metal. Locates and marks bending and cutting lines onto work piece, allowing for stock thickness and machine and welding shrinkage. Reheats work pieces to render them malleable, using hand torch or furnace. Positions, aligns, fits, and welds together parts, using jigs, welding torch and hand tools. What skills and abilities must I have to become a Boilermaker? Have the ability to Speak (Talk to others to convey information effectively). What are the working conditions of a Boilermaker? 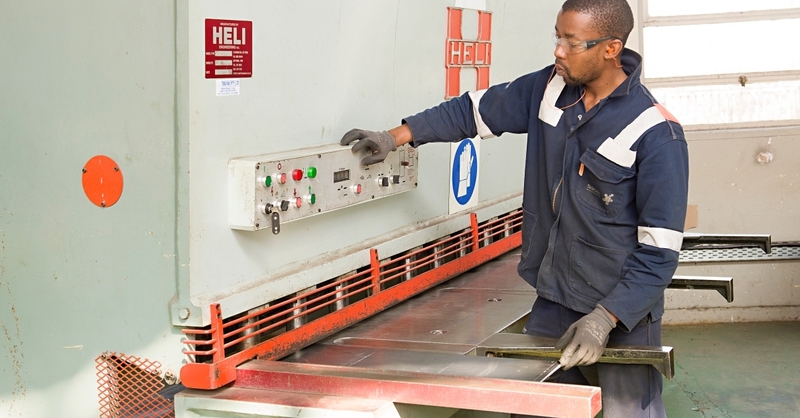 Most Structural Metal Fabricators or Boilermakers work in workshops that are often noisy, but lighting and ventilation are generally good. The work requires constant physical activity. Most workshops have modern equipment. Possible work hazards are flying metal chips, falling metal objects and burns from welding torches. Boilermaking requires constant physical activity. Simply click on the Apply Now button below to be taken to our online Student Portal. From here you will be able to apply for any course online.